They want HOW MUCH for the Blu-Ray?! While on vacation this summer, I stopped by a Best Buy in the United States (Fargo, ND to be precise) in the hopes of finding a good deal on the Lord of the Rings extended edition Blu-Ray. It's normally about $55 in Canada, and it was my hope that I'd be able to snag it for $40 or so in the US. 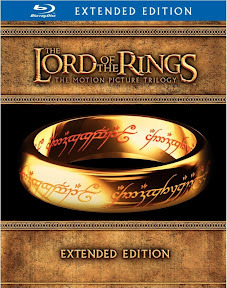 Sure, I already own the extended edition DVD, but, gosh, it'd be nice to watch it in HD, eh? Uh, maybe not. For the same Blu-Ray set at Best Buy in Fargo was ONE HUNDRED DOLLARS. $99.99, to be precise. Plus tax. And that was verified on Best Buy's website. Suddenly, $55 in Canada seems like a steal of a deal. Or maybe I'll just stick with my DVDs. I woke up this morning to the news that my favorite band in the whole wide world, Downhere, is basically done. They're wrapping up their touring at the end of the year, and they won't be recording any further music as a band. And that made me a little sad. I absolutely loved their music. 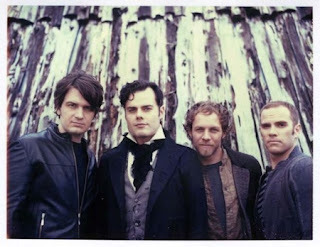 I always thought Downhere was the best Christian band that no one knew about and I could never figure out why they weren't absolutely gigantic in the Christian music business. I've seen them in concert at least four times (that I remember - I'm old, I forget stuff) in the past few years and was impressed every time out. Now I'm very glad I did get the chance to see them when I did. #Continuum. Or, why the past isn't what it used to be. 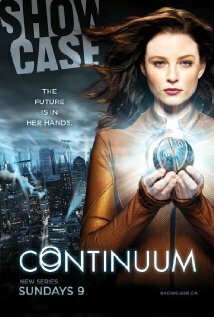 When Continuum premiered a couple months back on Showcase, I was intrigued enough by the premise to sit through the first show. In a nutshell, it's 2077, governments have fallen and corporations control the world (or, at least, the North American Union), and ridiculously cute married-with-young-child cop Keira Cameron gets sucked back into the past with a group of terrorists called Liber8 who escape their execution through a time travelling portal they activate in the execution chamber. And they all land in Vancouver in 2012, which is very convenient for purposes of shooting schedules. As I had hoped, June turned out to be a great month in terms of exercising, as I put on 367 km in the month, almost all of it cycling. I continued my 3-year-old summer tradition of riding to work as often as I could, which helped put on a lot of miles (or kilometres, I suppose). So far in 2012, I've cycled 1,396 km, so I'm 70% of the way towards my goal of biking 2,000 km for the year.